1949	Universidad de Syracusa, BFA. “Sol LeWitt”, John Weber Gallery, Nueva York. “Sol LeWitt : Recent Works on Paper”, Annemarie Verna Galerie, Zürich, Suiza. 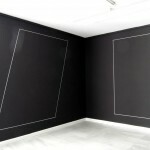 “Sol LeWitt Wall Drawings”, Art & Public, Geneva, Suiza. “Sol LeWitt Wall Work : White Styrofoam on Black & Related Works on Paper”, Barbara Krakow Gallery, Boston,USA. “Sol LeWitt Working Drawings”, Thomas Segal Gallery, Boston, USA. “Sol LeWitt Wall Drawings 25 Years of Wall Drawings – 1969 – 1994″ RENN Espace d’Art Contemporain, Paris. “Sol LeWitt”, Lisson Gallery, Londres. “Sol LeWitt : Working Drawings”, John Weber Gallery, New York, NY traveled to: ) Rhona Hoffman Gallery, Chicago, USA. “Sol LeWitt : Wall Drawings 1970 – 1971″, Lawrence Markey, Nueva York. “Sol LeWitt: Cinderblock Structures”, Ace Gallery, Nueva York. “Sol LeWitt : Wall Drawings”, Kukje Gallery, Seoul, Korea. “Sol LeWitt : New Wall Works”, Joseloff Gallery, West Hartford, USA. “Sol LeWitt : Styrofoam Wall Pieces”, Kunstverein Ludwigsburg, Villa Franck, Ludwigsburg, Alemania. “Sol LeWitt : Wall Drawings”, Ludwigsburger Schloßfestspiele, Ludwigsburg, Alemania. 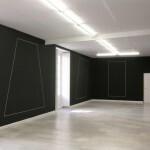 “Sol LeWitt : Structures”, Galerie Pietro Spartà, Chagny, France. “Sol LeWitt: Gouaches”, Daniel Weinberg Gallery, San Francisco, USA. “Sol LeWitt : Very Large Gouaches” Gagosian Gallery, Nueva York. “Sol LeWitt : 25 Small Gouache Drawings”, Gallery 128, Nueva York. “Sol LeWitt : 26 Gouaches”, Chester Gallery, Chester, USA. “Sol LeWitt : New Gouaches”, PaceWildenstein, Beverly Hills, USA. “Sol LeWitt Prints: 1970 – 1995″, The Museum of Modern Art, Nueva York. “(and subsequent tour)” Blaffer Gallery, University of Houston, Houston, USA. “TX” The Cleveland Museum of Art, Cleveland, OH The Detroit Institute of Arts, Detroit, USA. -”Sol LeWitt : Wall Drawing Installation and Styrofoam Installation” St Marks Position, Nueva York. “Retrospektiv II : Sol LeWitt – Richard Tuttle : Werke/Works 1965-1995” Annemarie Verna Galerie, Zürich, Suiza. 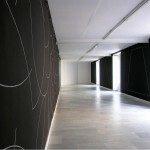 “Sol LeWitt : Dibujos Murales, Wall Drawings”, Sala de las Alhajas, Caja de Madrid. “Sol LeWitt Drawings”, Colby College Museum of Art, Waterville, USA. “Sol LeWitt Walls” Galerie Franck + Schulte, Berlin. -”Sol LeWitt : New Work”, Skoto Gallery, Nueva York. -”Sol LeWitt : New Wall Drawings”, The Pier Arts Centre, Stromess Orkney, USA. -”Sol LeWitt : Drawings and Sculptures”, Barbara Krakow Gallery, Boston, USA. -”Sol LeWitt : Stars”, Betsy Senior Gallery, New York, NY United States Representative, 23 International Bienal of Sào Paolo, Brazil. -”Sol LeWitt : Gouaches”, Dan Galeria, São Paolo, Brazil. -”Conceptual Tools, Selections from the LeWitt Collection”, Central Connecticut State University, USA. -”Sol LeWitt : Large Scale Monoprints”, Pace Prints, Nueva York. -”Sol LeWitt”, Works On Paper, Philadelphia, PA Galerie Konrad Fischer, Düsseldorf, Alemania. -”Two works by Sol LeWitt’, Stedelijk Van Abbemuseum, Eindhoven, Los Paises Bajos. “Sol LeWitt, Artist of the Year”, Art/Place, Southport, USA. “Sol LeWitt : Stars”, Hiram Butler Gallery, Houston, USA. “Sol LeWitt : New Work”, Rice University Art Gallery, Houston, USA. “Sol LeWitt : New Works”, Galerie Nächst St. Stephan, Vienna, Austria. “Sol LeWitt : Wall Drawing and Prints”, Cummings Art Center Connecticut College, New London, USA. “New Work”, Rhona Hoffman Gallery, Chicago, USA. “Wall Paintings”, Ace Gallery, Nueva York. “Wall Drawings”, Donald Young Gallery, Seattle, USA. “Sol LeWitt : Tables (1981 – 1997) & Related Work” A/D, Nueva York. “New Wall Drawing”, TZ’Art & Co., Nueva York. “Sol LeWitt”, Paula Cooper Gallery, Nueva York. “Sol LeWitt : Works of the 60s and 70s”, Ubu Gallery, Nueva York. “Sol LeWitt : Sculpture & Works on Paper”, Jan Weiner Gallery, Kansas City, USA. “Sol LeWitt : Recent Works”, Annemarie Verna Galerie, Zürich, Suiza. 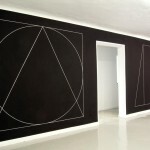 “Sol LeWitt : Cinque Quadri”, Ugo Ferranti, Rome. “Sol LeWitt”, Liliana Tovar, Stockholm, Suecia. “Sol LeWitt : Wall Pieces (Drawings and Maquettes for Large Scale Structures) “, Lisson Gallery, Londres. “Sol LeWitt: Flat and Glossy Colors”, PaceWildenstein, Los Angeles, USA. “Sol LeWitt Recent Gouaches”, PaceWildenstein, Los Angeles, USA. “Sol LeWitt in Italia”, Rocca Paolina, Perugia, Italia. “Sol LeWitt” Galleria d’Arte Moderna e Contemporanea Palazzo Forti, Verona, Italia. “Sol LeWitt”, Galleria Continua, San Gimignano, Italia. “Sol LeWitt: Works on Paper”, San Jose Institute of Contemporary Art, San Jose, USA. “Sol LeWitt : New Wall Paintings”, Museum of Contemporary Art, Sydney, Australia. “Sol LeWitt : New Wall Drawings”, PaceWildenstein, Nueva York. “Sol LeWitt: Bands of Lines: A Wall Drawing”, Birmingham Bloomfield Art Center, Birmingham, USA. “Sol LeWitt: Wall Works”, Alyce de Roulet Williamson Gallery, Art Center College of Design, Pasadena, USA. “Sol LeWitt”, Museum Moderner Kunst Landkreis Cuxhaven, Cuxhaven, Alemania. “Sol LeWitt: Neue Gouachen”, Galerie Daniel Blau, Münich, Alemania. “Decades and Dialogues: Perspectives on the MCA Collection”, Museum of Contemporary Art, Chicago, USA. “Sol LeWitt: New Work”, Galerie Meert Rihoux, Brussels, Bélgica. “Sol LeWitt: “New Work” (Black + Colors)”, Institute of Contemporary Art, University of Pennsylvania, Philadelphia, USA. “Sol LeWitt: Irregular Forms”, Galerie Franck + Schulte, Berlin, Alemania. “Sol LeWitt”, Volume!, Rome, Italia. “Sol LeWitt: New Work”, Paula Cooper Gallery, Nueva York. “Sol LeWitt: “Circles Arcs and Bands”, Rhona Hoffman Gallery, Chicago,USA. “Sol LeWitt: Indoors: Drawings and Models: Outdoors: Concrete Block Structures”, P.S.1, Long Island City, USA. 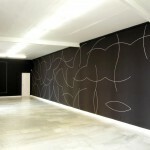 “Sol LeWitt: New Wall Drawings”, Galerie Pietro Sparta, Chagny, Francia. Sol LeWitt: Gouaches I gravats” , Galeria Toni Tàpies – Edicions T, Barcelona, España. “Sol LeWitt: Sculptures and Gouaches”, Barbara Krakow Gallery, Boston, USA. “Sol LeWitt 1971-1999, Etchings, Screenprints, Woodcuts, Crown Point Press”, San Francisco, CA and Refusalon and Helene Fried Associate Galleries, San Francisco, USA. Sol LeWitt: A Retrospective , San Francisco Museum of Modern Art, San Francisco, USA. and Museum of Contemporary Art, Chicago, USA. Whitney Museum of American Art, Nueva York. “Wall to Wall: A Decade of Prints by Sol LeWitt”, Alva Gallery, New London, USA. “Lasting Impressions: Contemporary Prints from the Bruce Brown Collection”, Portland Museum of Art, Portland, USA. “Sol LeWitt”, Palazzo delle Esposizioni, Rome, Italia. “Black Cubes”, Konrad Fischer Galerie, Düsseldorf, Alemania. “Sol LeWitt”, Donald Young Gallery, Chicago, USA. “Sol LeWitt: Works on Paper; Structures”, Rhona Hoffman Gallery, Chicago, Usa. 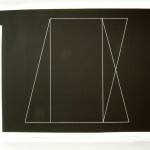 “Sol LeWitt”, Works on Paper, Inc., Philadelphia, USA. “Sol LeWitt”, New Structures”, Galerie Tschudi, Glarus, Suiza. “Sol LeWitt”, Works on Paper, Philadelphia, USA. “Sol LeWitt New Work: Structure, Wall Drawing and Gouaches”, PaceWildenstein, Nueva York. “Celebrating 75 Years: A Wall Drawing by Sol LeWitt, Williams College Museum of Art, Williamstown, USA. “Sol LeWitt: Incomplete Open Cubes”, Wadsworth Atheneum, Hartford, USA. “Sol LeWitt – Variations of Incomplete Open Cubes” Colby College Museum of Art, Portland, USA. “Sol LeWitt: Incomplete Open Cubes”, Cleveland Museum of Art, Cleveland, USA. 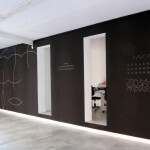 “Sol Lewitt – Wall Drawings”- Fundación PROA, Buenos Aires. “Sol Lewitt” – Regen Projects, Los Angeles, USA. 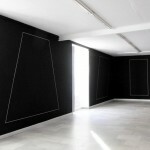 « Sol Lewitt » – Galerie Greta Meert, Brussels. “Sol LeWitt: New Wall Drawings” Irish Museum of Modern Art – IMMA, Dublin. “Sol LeWitt” Annemarie Verna Gallery, Zurich. 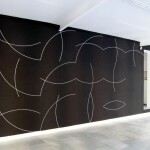 “Sol LeWitt” New Walldrawings – Galerie Thomas Schulte, Berlin. 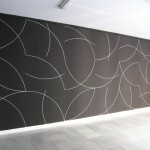 “Sol LeWitt – Emblemata” Dabbeni Studio d´arte contemporanea, Lugano, Italia. “Scottsdale Museum of Contemporary Art”, Scottsdale, USA. “Wall Drawings & Gouaches”. Galería Juana de Aizpuru, Madrid. “Sol LeWitt” Fundación Pedrio Barrié de la Maza. A Coruña, España. 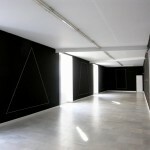 “Project Space: Sol Lewitt” – CCNOA – Center for Contemporary Non-Objective Art, Brussels. “Sol LeWitt: New Wall Drawings” – PaceWildenstein, Ciudad de Nueva York. “Sol LeWitt – Drawings, Prints and Books 1968–1988” National Gallery of Australia, Canberra, ACT. “Sol LeWitt. NEW WORK” Alfonso Artiaco, Naples. “Autobiography – 1980”. Fundación ICO Madrid. PhotoEspaña project. “Fotografía”. Centro Cultural Metropolitano Tecla Sala”. Barcelona, España. “Sol LeWitt: New Wall Drawings and Gouaches” – Rhona Hoffman Gallery, Chicago, USA. « Sol LeWitt » Konrad Fischer Galerie – Düsseldorf, Dusseldorf. “Sol LeWitt – Wall Drawing, Print, Works on Paper” Galerie nächst St. Stephan – Rosemarie Schwarzwälder, Vienna. “Sol LeWitt: Models for Proposed Dome Structures and Recent Gouaches” The Barbara Krakow Gallery, Boston, USA. “Sol Lewitt – Wall Drawing” Kunstsammlungen Chemnitz, Chemnitz, Alemania. “Sol LeWitt – Recent Acquisitions” Addison Gallery of American Art, Andover, USA. 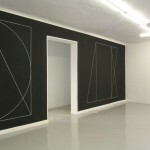 “Sol LeWitt” – walter storms galerie, Munich. “Sol Lewitt”. Casa Díaz Cassou de Murcia. Murcia, España. “Samll Series”. La Caja Negra. Madrid. “Sol LeWitt – The Zurich Project” Haus Konstruktiv, Stiftung für konstruktive und konkrete Kunst, Zurich. “New work: Sol Lewitt” Lisson Gallery, Londres. 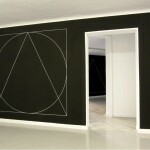 “Sol LeWitt – New Wall Drawings” Fraenkel Gallery, San Francisco, USA. “Sol LeWitt” Weatherspoon Art Museum, Greensboro, USA. “Sol LeWitt – Wall Drawing #1123, Planes with broken bands of color” The Aldrich Contemporary Art Museum, Ridgefield, USA. “Sol LeWitt” Kunsthaus Graz, Graz, Austria. “Sol LeWitt” The RISD Museum – University of Rhode Island, Providence, USA. “Sol LeWitt: Structures 1962 – 2003” Pace Wildenstein , Ciudad de Nueva York. 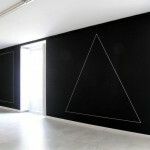 “Sol LeWitt / Wall Drawing– Structure–Gouaches” Annemarie Verna Gallery, Zurich. « Sol LeWitt » Laumeier Sculpture Park, Saint Louis, USA. “Sol Lewitt”. Galleria Massimo Minini. Italia. “Drawing for Proyects”. Donald Young Gallery. Chicago, USA. “Sol LeWitt: Splotches and Gouaches” Margo Leavin Gallery, Los Angeles, USA. « Sol LeWitt » Yvon Lambert – Paris. “Sol LeWitt . Walldrawing for Josef Albers” Quadrat Bottrop – Josef Albers Museum, Bottrop, Alemania. “New Sol LeWitt Wall Drawings” PaceWildenstein, Ciudad de Nueva York. “Sol Lewitt – Complex Form No. 7” Everson Museum of Art, Syracuse, USA. “Sol LeWitt. New Wall Drawings” Alfonso Artiaco, Naples. “Sol LeWitt on the Roof: Splotches, Whirls and Twirls” The Metropolitan Museum of Art, Ciudad de Nueva York. “Sol LeWitt” Donald Young Gallery, Chicago, USA. “Sol LeWitt – Wall Drawing # 801: Spiral, 1996” Bonnefanten Museum, Maastricht. 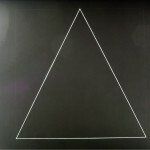 “Sol LeWitt – Photographic works” Gemeentemuseum Den Haag, The Hague. “Sol LeWitt – Recent Work” Lyman Allyn Art Museum, Nueva Londres, USA. “Sol Lewitt” Lisson Gallery, Londres. “Sol Lewitt. Drawing Series…” Dia Art Foundation, Chelsea, Nueva York City. “Sol Lewitt” Al Galerie, Budapest, Hongria. “Sol Lewitt” The Barbara Krakow Gallery, Boston, USA. “Sol Lewitt: Cribble Wall Drawings” Pace Wildenstein, Nueva York City. “Lewitt x 2” Weatherspoon Art Museum, Greensboro, USA. “Sol LeWitt” Bonnefanten Museum, Maastricht, Holanda. “Sol LeWitt in Memoriam” Museum of Contemporary Art Chicago – MCA Chicago, Chicago, USA. “Sol Lewitt” Goaches – Mulier Mulier Gallery, Knokke-Heist, Belgica. “Sol LeWitt at the AMAM” The Allen Memorial Art Museum, Oberlin, USA. “LeWitt x 2” MAM – Miami Art Museum, Miami, USA. 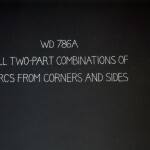 “The ABCDs of Sol LeWitt” Williams College Museum of Art, Williamstown, USA. « Estampes » Galerie Lelong – Paris. “Sol LeWitt x2” Austin Museum of Art – AMOA, Austin, USA. “Sol LeWitt” Storm King Art Center, Mountainville, USA. « Sol LeWitt » Monumental Drawings – Galleria Nazionale d’Arte Moderna, Roma. “Sol LeWitt: Color and Line, Reproduced” Smart Museum of Art, Chicago, USA. “Sol LeWitt” Annemarie Verna Gallery, Zurich, Suiza. “LeWitt x 2” CAC – Cincinnati Contemporary Arts Center, Cincinnati, USA. “Sol Lewitt” Smith College Museum of Art, Northampton, USA. “Mixed Sculpture Exhibition”, Lisson Gallery, Londres. ” The Art of Memory: Holocaust Memorials in History”, The Jewish Museum, Nueva York. “Lothar Baumgarten, Sol LeWitt, Gerhard Richter, Niele Toroni, Jeff Wall, Lawrence Weiner: A Painting Show”, Marian Goodman Gallery, Nueva York. “Minimal Art : Andre, Flavin, Judd, LeWitt, Morris, Mangold, Ryman, Weiner: a new condensed exhibition presenting early and new works, which questions the common label ‘Minimal Art’”, Hallen für Neue Kunst, Schaffhausen, Swiza. “30 Years–Art in the Present Tense: The Aldrich’s Curatorial History 1964-1994″, The Aldrich Museum of Contemporary Art, Ridgefield, USA. “Under Development”, Museum of Contemporary Art, Chicago, USA. “Traum vom Absoluten – Dream of the Absolute”, Galerie Beyeler, Basel, Suiza. “John Cage : The First Meeting of the Satie Society : An Homage to Erik Satie by John Cage with Prints and Drawings by: John Cage, Merce Cunningham, Jasper Johns, Robert Rauschenberg, Robert Ryman, Sol LeWitt, Michael Silver, Stephen Bastian”, Susan Sheehan Gallery, Nueva York. “Dessins 1894 – 1994″, Marc Blondeau, Paris, Francia. “From Minimal to Conceptual Art : Works from the Dorothy and Herbert Vogel Collection”, National Gallery of Art, Washington, USA. “Même si c’est la nuit”, capcMusée d’art contemporain, Bordeaux, Francia. “A/D in Santa Fe : Useful Objects Designed by Painters and Sculptors” Laura Carpenter Fine Art, Santa Fe, USA. “White Works : Group Exhibition”, PaceWildenstein, Nueva York. “Mapping”, The Museum of Modern Art, Nueva York. “A Century of Artists Books”, The Museum of Modern Art, Nueva York. “The Box : From Duchamp to Horn”, Ubu Gallery, Nueva York. “Carl Andre, Sol LeWitt”, Alfonso Artiaco, Pozzuoli / Naples, Italia. “Drawn on the Museum”, The Aldrich Museum of Contemporary Art, Ridgefield, USA. “RAW Space”, Real Art Ways, Hartford, USA. “Essence and Persuasion : The Power of Black and White”, Anderson Gallery, Buffalo, USA. “45˚ Nord & Longitude 0 : Oeuvres de la Collection du capcMusée de la Collection du Frac Aquitaine et de Collections privées”capcMusée d’art contemporain de Bordeaux, Francia. “Printmaking in America : Collaborative Prints and Presses 1960 – 1990″ -The Jane Voorhees Zimmerli Art Museum, Rutgers – The State University of New Jersey, New Brunswick, USA. (and traveled to: Mary and Leigh Block Gallery, Northwestern University, Evanston,USA, The Museum of Fine Arts, Houston, USA., National Museum of American Art, Smithsonian Institution, Washington, USA. “1:1 Wandmalerei – wall drawings and wall paintings”, Künstlerwerkstatt Lothringer Strasse, Munich, Alemania. “Sniper’s Nest : Art that has lived with Lucy Lippard”, Center for Curatorial Studies and Art in Contemporary Culture, Bard College, Annandale on Hudson, USA. “Inside / Outside : From Sculpture to Photography”, Laurence Miller Gallery, Nueva York, USA. “Works on Paper”, WP Gallery, Philadelphia, USA. “In Small Dimensions”, Andre Zarre Gallery, New York, NYNueva York.. (John Kaldor Art Projects) and Collection”, Museum of Contemporary Art, Sydney, Australia. Sol LeWitt – Editions”, One Great Jones, Nueva York, USA. “Passions Privées”, Musée d’Art Moderne de la Ville de Paris, Paris. “John Chamberlain, Dan Flavin, Donald Judd, Sol LeWitt, Robert Mangold, Agnes Martin, Elizabeth Murray, Lucas Samaras, Joel Shapiro” Pace Gallery, Nueva York. “Alighiero E. Boetti, Hamish Fulton, Sol LeWitt”, John Weber Gallery, Nueva York. “Minimalism : Works by John Chamberlain, Dan Flavin, Ellsworth Kelly, Donald Judd, Sol LeWitt and Robert Mangold”, Lipworth International Arts, Inc., Boca Raton, USA. Sol LeWitt, Ana Mendieta, Laurie Simmons, Kiki Smith”, Raab Gallery, Museum of Fine Arts, USA. “D’Une Oeuvre L’Autre”, Musée royal de Mariemont, Morlanwelz, Belgica. “Thinking Print : Books to Billboards 1980 – 1995″, The Museum of Modern Art, Nueva York. “Ars Aevi 2,000″, Centro per L’Arte Contemporanea Luigi Pecci, Prato. Italia. “Art at the End of the 20th Century : Selections from the Whitney Museum of American Art”, National Gallery, Alexandros Soutzos Museum, Athens, Greece Museu d’art Contemporani, Barcelona, España. “Extended Minimal”, Max Protetch, Nueva York. “Inaugural Exhibition”, Thomas Segal Gallery, Baltimore, USA. “Golden Oldies & New Delights”, Pace Prints, Nueva York. “In The Flow : Alternate Authoring Strategies”, Franklin Furnace, Nueva York. ai contemporanei nelle raccolte delo Stedelijk Museum di Amsterdam” Capodimonte Museum, Naples, Italia. -”limited edition artists books since 1990″, Brooke Alexander, Nueva York. “New York on Paper”, Baumgartner Galleries Inc., Washington, USA. “The Persistence of Vision, Part II : Donald Judd, Sol LeWitt, Brice Marden, Agnes Martin, Fred Sandback”, Barbara Krakow Gallery, Boston, USA. “Barely Made”, Norwich School of Art & Design, Norfolk, Inglaterra. “Invisible Light”, Museum of Modern Art, Oxford, Inglaterra. “The Power of Words and Signs”, Index Gallery, Kyoto, Japón. “Geometric Abstraction : Mel Bochner, Sol LeWitt, Imi Knoebel, Andrew Spence”, Numark Gallery, Washington, USA. “Minimalist Prints”, A.P. Giannini Gallery. Bank of America World Headquarters, San Francisco, USA. “Music : Alain Kirili, Sol LeWitt, Thomas Nozkowski”, Gallery 128, Nueva York. “Color and Paper : von Farben und Papieren”, Galerie Nächst St. Stephan, Vienna, Austria. “Margins : Vito Acconci, Sol LeWitt, Gordon Matta – Clark, Robert Smithson”, Barbara Gladstone Gallery, Nueva York. “Systematic : Anne Appleby, Jennifer Bartlett, Chuck Close, Mary Heilmann, Alfred Jensen, Sol LeWitt, Robert Mangold”, Karen McCready Fine Art, Nueva York. “XLVII Esposizione Internazionale d’Arte, La Biennale di Venezia”, Italia. “In Visible Light : Photography and Classification in Art, Science and the Everyday” Museum of Modern Art, Oxford, Inglaterra. “Lois Beurman Torf Print Collection”, Fine Arts Center, University of Massachusetts, Amherst, USA. “7 x 6 : Bochner, Hunt, LeWitt, Mazur, Morris, Plimack Mangold” Fine Arts Center, University of Massachusetts, Amherst, USA. “Around: Michael Beatty, Lorey Bonante, Louise Bourgeois, Sol LeWitt, Mary Mead, Tony Oursler, Meg Webster”, Barbara Krakow Gallery, Boston, USA. “The Serial Attitude: Paintings, Sculpture and Works on Paper”, Addison Gallery of American Art, Phillips Academy, Andover, USA. “Printer’s Choice”, Works on Paper, Philadelphia, USA. “Contemporary Tales : Contemporary Bestiary and Animal Painting”, Whitney Museum of American Art at Champion, Stamford, USA. “Inaugural Exhibition”, Ace Gallery Mexico, Mexico City, Mexico. “Thirty – Five Years at Crown Point Press: Making Prints, Doing Art”, National Gallery of Art, Washington, USA. Fine Arts Museums of San Francisco, San Francisco, USA. Kuppelsaal, Landesmuseum Joanneum, Graz, Austria. “Le Bel Aujourd’hui : ouevres d’une collection privée” Le Nouveau Musée, Institut Frac Rhône Alpes, Francia. “Drawing is Another Kind of Language : Recent American Drawings from a New York Private Collection”, Harvard University Art Museums, Cambridge MA – traveled to: Kunstmuseum, Winterthur, Switzerland Kunst Museum Ahlen, Ahlen, Germany Akademie der Kunst, Berlin, Alemania. Fonds Regional d’Art Contemporain and Musée de Picardie, Amiens, Francia. “Defining Structures”, LaSalle Gallery, NationsBank Plaza, Charlotte, USA. “Material Perfection : Minimal Art & Its Aftermath : Selected from the Kerry Stokes Collection”, Lawrence Wilson Art Gallery, University of Western Australia, Perth, Australia. “Minimal Art”, Bank Brussels Lambert, Brussels, Belgica. “Group Exhibition of Paintings, Drawings and Sculpture”, Chilida, Judd, Lee, LeWitt, Mangold, Ryman”, Galerie Lelong, Nueva York. “The Edge of Awareness”, Art for the World, Geneva, Suiza. traveled to: Siège des Nations Unies à New York, Nueva York. PSI, Long Island City, Nueva York. SESC Pompeia, São Paolo, Brazil and New Delhi, India. “Tracings : An exhibition of Wall Drawings : Sol LeWitt, Lao de Goede, Simon Patterson, Colin Darke”, Ormeau Baths Gallery, Belfast, Ireland. “100 Years of Sculpture : From the Pedestal to the Pixel”, Walker Art Center, Minneapolis, USA. “Sculpture”, Rhona Hoffman Gallery, Chicago, USA. “Large Scale Works on Paper : Le Va, LeWitt, Mangold, Scully, Serra, Winters”, Danese, Nueva York. “Matched Pairs”, John Weber Gallery, Nueva York. “Deep Thought”, Basilico Fine Arts, Nueva York. “Als golfslad op het stand Ad Dekkers in zeijn tijd : Waves Breaking on the Shore : Ad Dekkers in his Time”, Stedelijk Museum, Amsterdam, Los Paises Bajos. “Summer Group Exhibition”, PaceWildenstein, Nueva York. “Then and Now”, Lisson Gallery, Londres. “Sculpture: Donald Judd, Sherrie Levine, Sol LeWitt, Tony Smith, Jackie Winsor”, Paula Cooper, Nueva York. “Sculpture”, PaceWildenstein, Beverly Hills, USA. “Sol LeWitt, Robert Mangold”, Works on Paper, Philadelphia, USA. “Artist/Author: Contemporary Artists’ Books”, Museum of Contemporary Art, Chicago, USA. Organizer: American Federation of Arts. Traveled to: Lowe Art Museum, Coral Gables, Fla., the Western Gallery, Bellingham, Wash., University Art Gallery, Amherst, Mass. “Envisioning the Contemporary: Selections from the Permanent Collection”, Museum of Contemporary Art, Chicago,USA. “The Object of Geometry: Kathy Batterly, Sol LeWitt, Andrew Lord, Louis Mueller, Ron Nagle, Ken Price, Ettore Sottsass”, Franklin Parrasch Gallery, Nueva York. “Commission Possible: Walker Art Center, 1980 – 1998”, Walker Art Center, Minneapolis, USA. “Photography at Princeton: Celebrating 25 Years of Collecting and Teaching the History of Photography”, The Art Museum, Princeton University, Princeton, USA. “Donald Judd, Sol LeWitt, Robert Mangold: Prints”, Galerie Franck + Schulte, Berlin, Alemania. “Een keuze uit de eigen collectie : A Choice from the Collection”, Van Abbemuseum, Eindhoven, Los Paises Bajos. “Konzeptuelle Arbeiten der 1960er bis 1980er Jahre”, Galerie Rüdiger Schöttle, Münich, Alemania. “Amnesty International Benefit Drawing Show”, Paula Cooper Gallery, Nueav York. 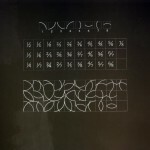 “Multiples + Editions”, I.C. Editions, Nueva York. “Alighiero e Boetti, Hanne Darboven, Sol LeWitt”, Barbara Gladstone Gallery, Nueva York. “Afterimage: Drawing Through Process”, The Museum of Contemporary Art, Los Angeles, USA (Curator: Connie Butler and traveled to: Contemporary Arts Museum, Houston, TX and Henry Art Gallery, USA. “Primarily Structural: Miniamalist and Post – Minimalist Works on Paper” PS 1, Long Island City, USA. Sol LeWitt: sculpture and drawings; Jenny Holzer: multiples”, SCAI The Bathhouse, Tokyo. “Wall Works”, Paula Cooper Gallery, New York, NY and Edition Schellmann, Nueva York. “Art at Work: Forty Years of The Chase Manhattan Collection”, Museum of Fine Arts, Houston, USA and the Contemporary Arts Museum, Houston, USA. (Curator: Robert Rosenblum). “The Woodcut Print”, Marlborough Gallery, Nueva York. “Global Conceptualism: Points of Origin, 1950s-1980s,” The Queens Museum of Art, Queens, USA. MIT List Visual Arts Center, Cambridge, USA. “Wall Drawing s: Robert Barry, Douglas Huebler, Sol LeWitt, Gordon Matta-Clark”, Lance Fung Gallery, Nueva York. “Generations”, Essex Art Center, Essex, USA. “Petits Formats: Working Small”, Yoshii Gallery, Nueva York. “A Summer Show”, Marian Goodman Gallery, Nueva York. “Sculpture in Context”, Addison Gallery of American Art, Andover, USA. “Summer Group Show”, Barbara Krakow Gallery, Boston, USA. “Summer 1999″, PaceWildenstein, Nueva York. “Plain Air”, Barbara Gladstone Gallery, Nueva York. “Exhibition Posters”, Lawrence Markey, Nueva York. “Correspondence: Harry Roseman: Sol LeWitt and Italian Goddess from 2 B.C”, College Center Gallery / Vassar College, Poughkeepsie, USA. “Art in our Time: 1950 to the Present”, Walker Art Center, Minneapolis, USA. “20twenty”, Fraenkel Gallery, San Francisco, USA. “The American Century: Art & Culture – Part 2 1950 – 2000″, Whitney Museum of American Art, Nueva York. “ModerrnStarts / People”, The Museum of Modern Art, Nueva York. “The John Weber Project @ Leo Koenig Inc., Brooklyn, USA. “Opening Show”, Alva Gallery, Nueva Londres, USA. “Masterprints”, Galerie Nächst St. Stephan, Vienna, Austria. “The Nature of Order: John Cage, Fischli & Weiss, Ellen Gallagher, Sol LeWitt, Richard Long, Tatsuo Miyajima, Fred Tomaselli”, James Cohan Gallery, Nueva York. “Blurring the Boundaries: Installation Art 1969 – 1996” (Tour organized by: Museum of Contemporary Art, San Diego, USA The University of Texas at Austin, USA. “Making Choices: 24 Exhibitions of Modern Art from1920 – 1960”, The Museum of Modern Art, Nueva York. “Masters of Contemporary Art from the Chase Manhattan Collection”, Queens Museum of Art, Flushing Meadows-Corona Park, Nueva York. “Other Forms: Works by Participants of Sculpture 2000″, Alva Gallery, Nueva Londres, USA. “Drawings 2000”, Barbara Gladstone Gallery, Nueva York. “Celebrating 75 Years – Permanent Change: Contemporary Works from the Williams College Museum of Art” Willilams College, Willianstown, USA. “What I saw and Understood: An Essay in Abstraction”, Nicholas Davies Gallery, Nueva York. “Beyond Preconceptions: The Sixties Experiment” Traveling exhibition organized by Independent Curators International, Nueva York. “Hard Pressed:600 Years of Prints and Process”, Axa Gallery, New York, NY November 2, 2000 – January 14, 2001, Boise Art Museum, Boise, USA, Museum of Santa Fe, Santa Fe, USA. “Many Colored Objects Placed Side by Side to Form a Row of Many Colored Objects: Oeuvres de la collection d’Annick et Anton Herbert”, Casino Luxembourg, Luxembourgo. “The Intuitive Eye: Selections from the Frederick R. Weisman Collection”, Fashion Institute of Design and Merchandising, Los Angeles,USA. “Changing Perceptions: The Panza Collection” Guggenheim Museum, Bilbao, España. “In Process: Photographs from the 60s and 70s”, Curt Marcus Gallery, Nueva York. “Rendez-vous No. 2”, Hotel de Caumont, Avignon, Francia. -“Do You Hear What We Hear?”, Paul Morris Gallery, Nueva York. “Objective Color”, Yale University Art Gallery, New Haven, USA. “Cruce de Caminos” Palacio Episcopal de Málaga. Fundación unicaja. Málaga, España. “Encuentros. Dialogos de complicidad en la pintura internacional”. Centro Cultural Las Claras. Caja Murcia. Murcia, España. ART 33 BASEL. Stand Galería Juana de Aizpuru. Basel, Suiza. “Arte en la Ciudad”. Casa Municipal de la Cultura de ‘Carlos Muñoz Ruiz’. Alcobendas, España. Art Basel Miami Beach. Stand Galería Juana de Aizpuru. Miami, USA. “En Centímetros”. Galería Fernando Pradilla. Madrid. ARCO 2003. Stand Galería Juana de Aizpuru. Madrid. Fundación NMAC, Montenmedio. Vejer (Cádiz), España. “Large-Scale Sculpture” Paula Cooper Galery. Nueva York. “USA I”. A y N Centro de Arte. Madrid. “La Odisea Americana”. Círculo de Bellas Artes. Madrid. “Intra-muros”. Musée d’Art Moderne et d’Art Contemporain de Niza. Francia. The last picture show. MARCO, Museo de Arte Contemporáneo de Vigo. Vigo, España. “Sol Lewit. Fotografía”. La Fábrica. Madrid. “Camere / Chambers” Sound art museum, Rome. “Napoli presente. Posizioni e prospettive dell’arte contemporanea” PAN – Palazzo delle Arti di Napoli, Naples. “Outdoor Sculpture” Zwirner & Wirth, Ciudad de Nueva York. “Looking at Words” Andrea Rosen Gallery, Ciudad de Nueva York. “25 Jahre Galerie Fahnemann: Reopening” Galerie Fahnemann / fahnemann projects, Berlin. « Dessins de la collection / Drawings from the Collection » Musée d´art contemporain de Montréal, Montreal, QC. “Exhibition of Indoor Collections” Kirishima Open-Air Museum, Kagoshima. Japón. “SENZA CONFINE (15th year) – SAN GIMIGNANO” Galleria Continua – San Gimignano.Italia. “Fast nichts” Minimalistische Werke aus der Friedrich Christian Flick Collection – Hamburger Bahnhof, Museum für Gegenwart, Berlin. “Künstler-Holzpostkarten aus der Sammlung Hussong” Museum Schloss Burgk, Burgk, Alemania. “Variations on a Theme by Sol LeWitt & Paula Robison” Isabella Stewart Gardner Museum, Boston, USA. “Eröffnungsausstellung” SQUARE – Die Sammlung Marli Hoppe-Ritter – Museum Ritter, Waldenbuch, Alemania. “Rainbow: A painting show” Galerie Sfeir-Semler – Beirut, Beirut, Libano. « Salon d’automne » Annemarie Verna Gallery, Zurich, Alemania. “Nach Rokytnik – Die Sammlung der EVN” Museum Moderner Kunst Stiftung Ludwig – MUMOK , Vienna. “Spatiale malerei” Galleria Marabini, Bologna. “Group Show” The Barbara Krakow Gallery, Boston, USA. « Modèles modèles » Mamco – musée d´art moderne et contemporain, Geneva. “OpenSystems – Rethinking Art c.1970” Tate Modern, Londres. “Rigorosamente bianco e nero” Galleria Studio G7, Bologna. “Swing Space: Wallworks” Art Gallery of Ontario, Toronto, USA. “Daumenkino” Kunsthalle Düsseldorf, Dusseldorf , Alemania. “Accrochage – Von Delaunay bis Lichtenstein” – Galerie Proarta, Zurich, Alemania. “Totally Geometric – Abstraction from the permanent Collection” – Neuberger Museum of Art, Purchase, USA. “Paint it Black” SICA – The Shore Institute Of The Contemporary Arts, Long Branch, USA. “line.form.space” Dunn and Brown Contemporary, Dallas, USA. “Elemental” Walker Art Center, Minneapolis, USA. “L´Art de Vivre” – Lehmann Maupin Gallery – 540 West 26 Street , Nueva York. “Sol LeWitt and Robert Mangold – Drawing Into Print” – Senior & Shopmaker Gallery, Ciudad de Nueva York. “Design ≠ Art: Functional Objects from Donald Judd to Rachel Whiteread” – Aspen Art Museum, Aspen, USA. “Amish Quilts: Kaleidoscope of Color – From the Collection of Faith and Stephen B” – Denver Art Museum, Denver, USA. « Memoire de la liberte » – Galerie tazl., Weiz, Alemania. “The Last Picture Show – Artists using Photography 1960-1982” – Miami Art Central, Miami, FL. “Verzamelen!” – Bonnefanten Museum, Maastricht. “Five Minimalist Artists” – Björn Ressle Gallery, Ciudad de Nurva York. “The painting show” Galeria Xavier Fiol Arte Contemporáneo, Palma de Mallorca. “Sweet Temptations” Kunstmuseum St. Gallen, St. Gallen. “Illusion – Irritation” Waßermann Galerie, Munich. “Logical Conclusions: 40 Years of Rule-Based Art”- PaceWildenstein – Ciudad de Nueva York. “Major Prints” John Berggruen Gallery, San Francisco, USA. “Drawings / Watercolors / Collages” Margarete Roeder Gallery, Ciudad de Nueva York. “Arte Contemporanea Due” – Galleria La Fenice, Sassari. “Sets, Series, and Suites: Contemporary Prints” MFA – Museum of Fine Arts, Boston, Boston, USA. “Gegenwelten. Das 20. Jahrhundert in der Neuen Nationalgalerie” Neue Nationalgalerie, Berlin. “STRIPES – LINES – COLORS – ARBEITEN IN VERSCHIEDENEN TECHNIKEN” Galerie Wolfgang Exner, Vienna. “EXIT- Ausstieg aus dem Bild” ZKM | Zentrum für Kunst und Medientechnologie Karlsruhe, Karlsruhe, Alemania. “A Show of Prints” James Kelly – Contemporary, Santa Fe, USA. “Winter Group Show” The Barbara Krakow Gallery, Boston, USA. “Drawing through it” David Nolan Gallery, Ciudad de Nueva York. “Gegen Kandinsky” Museum Villa Stuck, Munich. « regard 02 : minimalismes » Espace de l’art concret, Mouans Sartoux. « Au-delà de la géométrie (art construit, minimal, sériel) » FRAC – Limousin, Limoges, Francia. “Six Feet Under; Autopsie unseres Umgang mit Toten” Kunstmuseum Bern, Bern. “Busy going crazy. The Sylvio Perlstein collection”- La Maison Rouge, Paris. “Modulated Abstraction” Brooke Alexander Editions, Ciudad de Nueva York..
“Elemental Form” L&M Arts, Ciudad de Nueva York..
“Group Sculpture” Rosenbaum Contemporary, Boca Raton, USA. “NEO MINIMALISM and some antecedents” John Buckley Gallery, Richmond, USA. “Works of Art from the Société Générale Collection” Museum Kampa – The Jan and Meda Mládek Foundation, Prague. “Minimal: Works on Paper” Senior & Shopmaker Gallery, Ciudad de Nueva York. “Artists at Work” Cranbrook Art Museum, Bloomfield Hills, USA. “Was ist Plastik? 100 Jahre – 100 Köpfe- Das Jahrhundert moderner Skulptur” – Stiftung Wilhelm Lehmbruck Museum • Center of International Sculpture, Duisburg. “Ideal City – Invisible Cities” Brandenburgischer Kunstverein Potsdam, Potsdam. “Sammeln und Entdecken” Galerie Schrade & Blashofer, Karlsruhe. “Works on Paper” Thomas McCormick Gallery, Chicago, USA. “Drawn into the World” Museum of Contemporary Art Chicago – MCA Chicago, Chicago, USA. “Selections From The Werner H. Kramarsky Collection” – Birmingham Museum of Art, Birmingham, USA. “Von Carl Andre bis Bruce Nauman” Hamburger Bahnhof, Museum für Gegenwart, Berlin. “Strange I’ve Seen That Face Before – Kunst, Design, Architektur im Kopf” – Städtisches Museum Abteiberg, Mönchengladbach. “Galerie mit Bleistift Fischer – Papierarbeiten aus den 60er und 70er Jahren” – Konrad Fischer Galerie – Düsseldorf, Dusseldorf. “Sol LeWitt – Mario Merz” Fondazione Merz, Turin. “Locus” Björn Ressle Gallery, Ciudad de Nueva York. « Art’itudes – BOZAR » Palais des Beaux-Arts / Paleis voor Schone Kunsten, Brussels. “Crown Point Press – The Art of Etching” The de Young Museum, San Francisco, USA. “Webs, Loops and Skeins in modern Contemporary Art” – The RISD Museum – University of Rhode Island, Providence, USA. “Measure of Time” Berkeley Art Museum and Pacific Film Archive BAM/PFA, Berkeley, USA. “Contemporary Master Prints” Jerald Melberg Gallery, Charlotte, USA. “Crisis of Modernism: The Post-Minimal Rebellion” Milwaukee Art Museum, Milwaukee, USA. « Venezia 1948-1986 – La scena dell’arte » Peggy Guggenheim Collection, Venice. “Hundert Küsse sind besser als einer (Hundred Kisses are better than one)” – Krinzinger Projekte, Vienna. “Nomaden im Kunstsalon – Begegnungen mit der Moderne von Bayer bis Sol LeWitt” Lentos Kunstmuseum Linz, Linz. “Line and Surface – Works on Paper” Peter Blum Gallery – Soho, Ciudad de Nueva York. “Robert Barry, Daniel Buren, Sol LeWitt – Wall Drawings” Albion – London, Londres. « 20 ans du Musée d’Art Moderne – L’art après 1960 dans les collections » – Musée d’Art moderne de Saint-Etienne, Saint-Etienne, Francia. “Black and White and Red – All Over” Michele Mosko Fine Art, Denver, USA. “The Complexity of the Simple” L&M Arts, Ciudad de Nueva York..
“La vida privada – Coleccion Josep Civil” CDAN – Centro de Arte y Naturaleza – Fundación Beulas, Huesca, España. « Die aufregende Kunst des 20. Jahrhunderts » Neue Nationalgalerie, Berlin. « Personal Structures » Galerie Hafenrichter & Flügel (ex Galeria2000), Nuremberg. “Selection 2007 – Proje4L/Elgiz” Museum of Contemporary Art, Istanbul. “Repeat Performances: Seriality and Systems Art since 1960” – The Allen Memorial Art Museum, Oberlin, USA. “Summer Show” James Cohan Gallery – Ciudad de Nueva York. “Everything” Dunn and Brown Contemporary, Dallas, USA. « Matthys-Colle Collection » MDD – Museum Dhondt-Dhaenens, Deurle, Belgica. “Verzameling Roger en Hilda Matthys-Colle” MDD – Museum Dhondt-Dhaenens, Deurle, Belgica. “Guggenheim Collection: 1940s to Now” NGV National Gallery of Victoria International, Melbourne, USA. “Block Party II” Daniel Weinberg Gallery, Los Angeles, USA. “Dialogando …………….” – Galleria La Fenice, Sassari, Italia. “Light Time and Three Dimensions” PaceWildenstein, Ciudad de Nueva York. “Summer reflections 2007” Rosenbaum Contemporary, Boca Raton, USA. “A TRIBUTE TO BRICE MARDEN – Arbeiten auf Papier” – fruehsorge contemporary drawings, Berlin. “Klio – Eine kurze Geschichte der Kunst in Euramerika nach 1945” ZKM | Zentrum für Kunst und Medientechnologie Karlsruhe, Karlsruhe. “Works from the Colletion of Société Generale Paris” National Museum of Contemporary Art (MNAC), Bucharest. « 52nd International Art Exhibition Venice Biennale / Biennale di Venezia » La Biennale di Venezia, Venice. “Antes y después del minimalismo” – Museu d´Art Espanyol Contemporani (Fundación Juan March), Palma de Mallorca. “Commemorating 30 Years Part III: 1991-2007” Rhona Hoffman Gallery, USA. “Conceptual Photograpy 1964-1989” Zwirner & Wirth, Ciudad de Nueva York. “DUMP – Postmodern Sculpture in the Dissolved Field” The Art Hall at Tullinløkka, Oslo. “The Happiness of Objects” Sculpture Center, Long Island. “Connecticut Contemporary” The Wadsworth Atheneum Museum of Art, Hartford, USA. “Commemorating 30 Years Part II: 1981-1990” Rhona Hoffman Gallery, Chicago, USA. « Orthodoxes-Hétérodoxes – choisir sa ligne – Le 10 Neuf » Centre Régional d’Art Contemporain, Montbéliard. “What does the jellyfish want?” Museum Ludwig, Cologne. “Feedback – Laboral” Centro de Arte y Creación Industrial, Gijón. “PURE” Sean Kelly Gallery, Ciudad de Nueva York. “Das Schwarze Quadrat. Hommage an Malewitsch-Gründungsbau” Hamburger Kunsthalle, Hamburg. “Based on Paper – Die Sammlung Marzona – Revolution der Kunst 1960-1975” Kupferstichkabinett, Berlin. « Artisti, parole, immagini dal 1960 al 1968 » Fondazione Sandretto Re Rebaudengo – Ciriè, Ciriè (TO). “Return to Cézanne” Collection Lambert, Avignon., Francia. “O debuxo por diante” CGAC – Centro Galego de Arte Contemporánea, Santiago de Compostela, España. “Commemorating 30 Years Part I: 1976-1980” Rhona Hoffman Gallery, Chicago, IL. “Konceptualna umetnost” Museum Of Contemporary Art Vojvodina / Muzej savremene umetnosti Vojvodine, Novi Sad, Hongari. « Calzolari – Degottex – Lewitt » L’Or du Temps, Paris. “L’aura della serialità” CAMeC – Centro de Arte Moderna e Contemporanea della Spezia, La Spezia, Italia. “Mapping the City” Stedelijk Museum Amsterdam, Amsterdam. “American Master Prints” Alan Cristea Gallery, Londres. “Ausgerechnet… Mathematik und Konkrete Kunst” Museum im Kulturspeicher, Würzburg, Alemania. “Group Show” Björn Ressle Gallery, Ciudad de Nueva York. “REALLIFE 1979-1990″ -Artists Space, Ciudad de Nueva York. “SITEings” Southeastern Center for Contemporary Art (SECCA), Winston-Salem, USA. “Collected Thoughts: Works from the Dorothy and Herbert Vogel Collection” Indianapolis Museum of Art – IMA, Indianapolis, IN. “U S A” – Galerie Lindner, Viena. “Neutre intense” Carl Freedman Gallery, Londres. “XXth Century”Gemeentemuseum Den Haag, The Hague. « tool box »- Entre-deux, Nantes. “The Panza Collection and Ways of Seeing: Giuseppe and Giovanna Panza”- Hirshhorn Museum and Sculpture Garden, Washington, DC. “Selected works from the contempory art collection”-Sofia Art Gallery, Sofia. “Minimal is More”Gemeentemuseum Den Haag, The Hague. “LINES, GRIDS, STAINS, WORDS”- Museum Wiesbaden, Wiesbaden. “Notation” Kalkül und Form in den Künsten – , Berlin. “De Rodchenko a Sol Lewitt” Galerìa Guillermo de Osma, Madrid. “regarde de toutes tes yeux regarde »- Musée des Beaux de Nantes, Nantes. « Call it what you like” Collection Rik Reinking – Kunst Centret Silkeborg Bad, Silkeborg. “A Year in Drawing” Galerie Lelong – New York, New York City, NY. “Sammlung / Collection” Migros Museum für Gegenwartskunst, Zurich. “Selections from the Collection of Helga & Walther Lauffs” Galerie Hauser & Wirth, Zurich. “Lost Paradise – Der Blick des Engels” Zentrum Paul Klee, Bern. “ONE More – In Memoriam: Sol LeWitt” Esbjerg Kunstmuseum, Esbjerg. « Le Grand Tour – Académie de France à Rome » Villa Médicis, Rome. « W.D.A.O.V.T.O.P.N.N.M.T.B.V. » Galeria Bassols-Balmes, Barcelona. “Selections from the Collection of Helga and Walther Lauffs” David Zwirner, Inc., New York City, NY. “To Infinity and Beyond: Mathematics in Contemporary Art” Heckscher Museum of Art, Huntington, NY. “Blood on Paper – the Art of the Book” Victoria and Albert Museum – V&A, Londres. “Selections from the collection of Helga and Walther Lauffs” Zwirner & Wirth, New York City, NY. “art in the park” Galerie Gmurzynska – Zürich, Zurich. “Second Thoughts” Hessel Museum of Art & Center for Curatorial Studies Galleries at Bard College, Annandale-on-Hudson, NY. “Styrofoam – The RISD Museum” University of Rhode Island, Providence, RI. « dans le cadre du cycle Neutre Intense » Maison populaire – Centre d’art Mira Phalaina, Montreuil. “I Bought the Brooklyn Bridge” Kupferstichkabinett, Berlin. “MATRIX/REDUX” Berkeley Art Museum and Pacific Film Archive BAM/PFA, Berkeley, CA. “The Skat Players” Vilma Gold, Londres. « Chefs-d´oeuvre dessins du XXe siecle » – Musee de Grenoble, Grenoble. “Genau + anders – Mathematik in der Kunst von Dürer bis Sol LeWitt” Museum Moderner Kunst Stiftung Ludwig – MUMOK , Vienna. « Collections, Permanent/Provisoire 2 » Musee des Beaux Arts Tourcoing, Tourcoing, Francia. « bit international. [Nove] tendencije | Computer und visuelle Forschung | Zagreb 1961–1973 » ZKM | Zentrum für Kunst und Medientechnologie Karlsruhe, Karlsruhe, Alemania. “MAXImin” Fundación Juan March, Madrid. “Art Metropole: The Top 100” MSVU Art Gallery, Halifax, USA. “Minimal Shift” Galéria Jana Koniarka, Trnava, Republica Eslovaca..
“Spazio Libro d’Artista” Palazzo Manganelli , Catania, Italia. “Prison of Love” OTR espacio de arte, Madrid. « Made in USA – L’art américain dans les collections du Centre de la Gravure » Centre de la Gravure et de l’Image imprimée, La Louvière, Francia. “One more” Thomas Rehbein Galerie, Cologne, Alemania.